Buy together and save – three pairs of Intex Type S1 spa filter cartridges (six cartridges)! The authentic replacement cartridge for your Intex PureSpa. Give your Intex PureSpa it’s best performance by using genuine Intex brand, easy to clean, Dacron filter material. 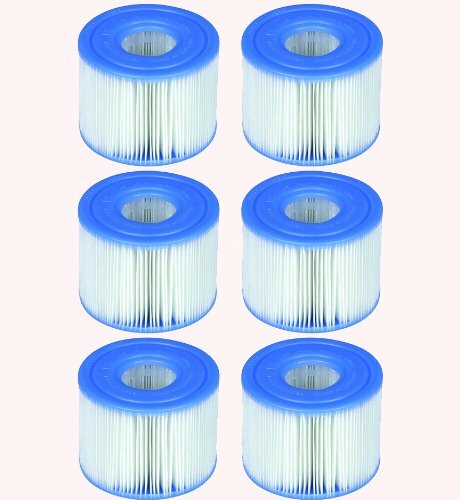 Replace your filter cartridges regularly as every two weeks to maximize your spa’s performance!